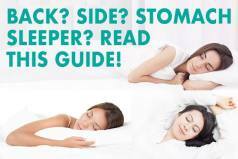 Buying adjustable beds these days is easier than ever before thanks to the online shopping which allows buyers to find out everything about the features and durability of their adjustable beds and get them at more than a reasonable price. 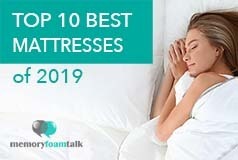 There are many new online mattress companies that sell a great variety of sleep products, including adjustable bases and these bases set themselves apart from most other bases that can be found in hospitals and that have a cold, clinical feel in that they all have a modern design that look like comfortable home furniture and that can perfectly fit your bedroom. In addition to many extraordinary features which can help you relax and provide you with ultimate sleep experience, these bases have a more modern look, with concealed support beams and upholstered sides. Most also function within wood frames or with headboards that help them blend perfectly into a your bedroom décor. One such adjustable base that we’ll be reviewing today comes from Leesa online mattress company. Click here for the lowest price available on a Leesa Adjustable Base. Based in Virginia Beach, Leesa is an online luxury mattress company that delivers its mattresses directly to consumers’ doors. It was launched in 2014, and it was among the first companies to sell its mattresses direct to consumers and exclusively online. Apart from highest-quality mattresses, the company has recently launched its latest product – an innovative adjustable base that can be paired up with any bed-in-a-box mattress to provide you with total relaxation and the best sleeping experience. With a wireless remote, it can bend and fold into an infinite number of configurations and take your rest to the next level. The Leesa Adjustable Base is a beautiful and elegant base with a slim and simple design. But, regardless of its slim design, the base is sturdy and durable made with birch wood, black powder coated steel and 100% polypropylene. It features six black powder-coated telescoping legs that give you the possibility to adjust the height of your base in a range from 10 to 14.5 inches and a frame with an upholstery finish. It also comes with headboard brackets that allow the attachment of headboards and has a powerful but quiet motor which allows seamless changing of positions which is especially appealing to those sharing their bed with a partner. Besides this, the Leesa Adjustable Base has the two white strips towards the foot of the bed which are actually little grips called micro-hooks that prevent the mattress from moving from side to side and a steel mattress retainer bar at the bottom of the base that keeps the mattress from sliding while adjusting the base. In addition, this base includes a free-fall design safety feature which means that the Leesa Adjustable Base is designed to lower the mattress with gravity. It also has a built-in underbed light that can be activated by pressing a button on your wireless remote and which can help you find your way around the house in the dark without the need to switch on the lights everywhere. All of the functions of this adjustable base can be accessed and controlled via a seven-button wireless remote which is easy to be used. So the Leesa Adjustable Base can work perfectly well with the mattress you have at your home, provided it is flexible enough to do a little bit of bending, but usually all the beds that come compressed in a box can fit the adjustable base. Assembling the Leesa Adjustable Base is quite easy. It comes with instructions so you won’t have the problems to fully set it up, but it can weigh up to 150 pounds so you may need help to move it into your bedroom. The base comes neatly packed in a box. Upon opening the box you will see that it’s wrapped in plastic package that keeps it clean. All you need to do to fully set it up is to get it out of the packaging, flip it upside down, attach the motor to the base, plug the cables to the power supply, screw in the legs, turn it over, and plug it into the wall to operate. If you don’t want to set up the base by yourself, you can choose an optional white glove delivery service that is done through an independent contractor and that will call you to schedule delivery and setup. This service will cost you an extra $100, but you won’t have to do anything. The delivery men will set up the base in your bedroom and pair the remote. Also, their white glove service can remove and dispose or donate your existing mattress. The Leesa Adjustable Base is available in both split and single options and they can perfectly fit a great variety of mattress sizes. This time we used the Split King version and it really appealed to us as a couple. We got two Twin XL bases that we put side by side and they proved to be a really good choice for us. We could use mattresses of different firmness levels and adjust the positions to our liking without disturbing each other. We could sleep in different elevated positions from one another and enjoy a fully personalized comfort. I also didn’t cause me to roll into Andrew due to our weight disparity and make me experience that well-known feel of sinking into a hole which is often the case when we sleep on a single base and lower quality mattresses. It has a relatively quiet motor and moves silently so if you need to make adjustments at night you have less chance of waking your partner. However, if you don’t like the idea of having two separate mattresses, you can just buy a standard king mattress and synchronize both of the Twin XL bases so they can work together simultaneously and be controlled via one single remote. Unlike other adjustable bases we have reviewed, the Leesa Adjustable Base has no built-in USB ports and massagers, but it has many other great features that make it truly unique and that make it stand out from other adjustable bases available on today’s online market. With the Leesa base, it’s never been easier to achieve the level of comfort and support necessary for total relaxation and a restful night’s sleep. It offers many options lift your head and legs to create a comfortable position for watching television or reading and relaxing all at the touch of a button on your wireless remote. Lifting your upper body can reduce potential snoring and relieve indigestion while lifting your lower body can improve circulation and ease pain. Besides these standard features that allow you to raise or lower your upper body and legs both separately or simultaneously, this adjustable base offers zero gravity positioning that will provide you with continued pressure relief and support and make your feel prepared for the next day. This position simulates the sleep position of astronauts in that it arranges the bed to slightly raise your legs and back to make you feel like you are floating and provide you with proper spinal alignment and support. It can relieve pressure on your body, improve blood flow, stimulate relaxation and rejuvenation, reduce stress and fatigue, take the pressure of the day away and float you into a more relaxing night’s rest. As mentioned, there are no USB ports and no massage options, but there is LED lighting underneath the base which is great in case you need to get out of bed at night and you don’t want to turn on the lights. All in all, we are satisfied with how well this base worked for us. We could adjust our positions independently of each other, and it provided us with the maximum level of comfort and support regardless of the position we chose. 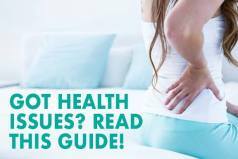 We didn’t feel any discomfort while sleeping or relaxing in any position and didn’t feel our spines to be out of alignment. The Leesa Adjustable Base comes in at a very competitive range of prices so that the Queen base costs only $1045, while the Split version we have sells for $1745. These are excellent values given the quality construction and design of these bases, all the features that they offer and the direct-to-home shipping and installation. What surprised us is that this adjustable base offers a trial period. As I mentioned in the previous reviews, sleep trials usually don’t apply to adjustable bases because they weight a lot and are complicated to ship and return, but trying this base totally risk-free as it comes with a 100-night trial period. So, if it’s not your thing, they’ll come and pick it up from your home then refund the full purchase price. However, if you are from Alaska or Hawaii, you should know that in such case there is a $100 fee for returns. The base also comes with a 1-year, 3-year and 25-year limited warranty and will ship to your house in 1-5 business days, though the number of days may vary depending on your location. Once you place the order, they’ll need 2-5 business days to build and box your adjustable base before shipping it directly to you, and as soon as your order leaves their building, they’ll send you an email with your tracking details. There is also an optional white glove delivery service which charges additional $100 and which is done through an independent contractor that will call you to schedule delivery and setup. Once the base arrives to your doorstep, the delivery men will take it inside and set it up in your bedroom. Is the Leesa Adjustable Base Right for You? Buy the Leesa Adjustable Base if you like:. Modern adjustable bases – The Leesa Adjustable Base is a modern adjustable base with a slim and simple but beautiful and elegant design. Regardless of its slim design, the base is sturdy and durable. It features six black powder-coated telescoping legs that give you the possibility to adjust the height of your base and a frame with an upholstery finish. It also comes with headboard brackets that allow the attachment of headboards and a powerful but quiet motor which allows seamless changing of positions. An adjustable base with many features – Although the Leesa Adjustable Base has no built-in USB ports and massagers, it comes with many other great features that make it truly unique. Besides ordinary features such as head and foot incline, this adjustable base also offers you the possibility to adjust it to a weightless zero gravity position which can improve your blood flow, relieve pressure points on your body, help you with swollen feet, stimulate relaxation and rejuvenation, and reduce stress and fatigue. Overall the Leesa Adjustable Base is a great adjustable base and we are really satisfied with how well it worked for us. If you are looking for a modern, durable and reliable adjustable base then this one might be an ideal choice for you. It is true that it doesn’t have a massage feature, buit-in USB ports or the ability to save your favorite positions, but its quality is unsurpassed and it has many other great features that make it truly unique and unlike any other adjustable base currently available on the online market. It has a sleek modern design, six adjustable legs that allow you to adjust the height of your base in a range from 10 to 14.5 inches, head and foot incline features, built-in nightlight and a zero gravity positioning setting which guarantees total relaxation and a restful and painless night’s sleep. What we especially like about this base is the fact that it comes with a 100-night trial period which means that if the base isn’t your thing, they’ll come and pick it up from your home and then refund the full purchase price. Even if you don’t opt for a Leesa mattress, this adjustable bed is an excellent option that will not only improve the quality of your sleep and rest, but that will also make your bedroom aesthetically more pleasing.